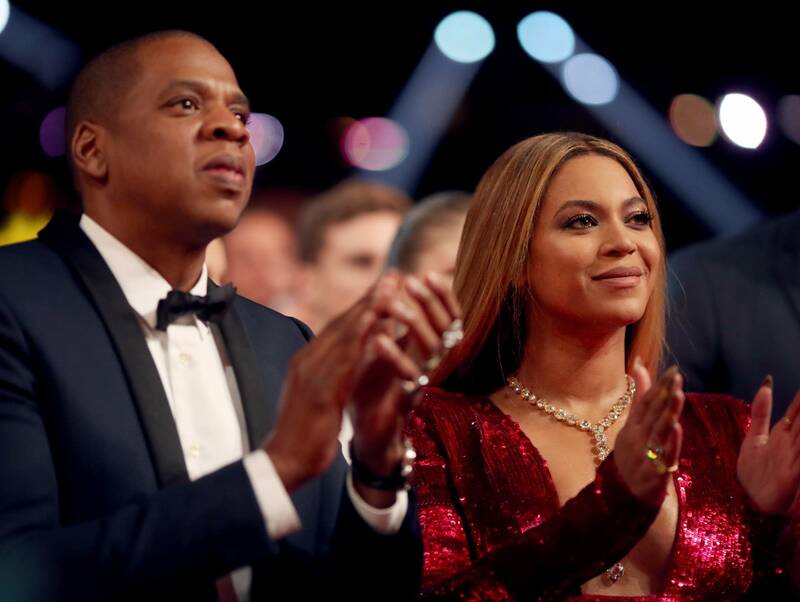 On Saturday night, after their joint show in London, Beyoncé and Jay-Z surprised the world with the release of a collaborative album, Everything Is Love. The album, released exclusively on Jay-Z's streaming service Tidal, celebrates the married couple's love in the wake of individual albums — Beyoncé’s Lemonade (2016) and Jay-Z's 4:44 (2017) that chronicled turmoil in their relationship. It also takes pointed aim at competing streaming services (Beyoncé suggests that if she cared about numbers, Lemonade would be on Spotify), the Grammys (which denied Jay-Z an award this year despite eight nominations), and the NFL, which reportedly offered the rapper a Super Bowl halftime slot that he turned down in solidarity with protesting quarterback Colin Kaepernick. "Tell the NFL we in stadiums, too," Jay-Z raps on Everything Is Love. Although the news hasn't been publicly confirmed, Variety reports that the Prince has finalized, or is close to finalizing, a deal with Sony Music to license a chunk of the artist's music. The news comes after a prior deal with Universal fell through, that company arguing that the estate's representatives misrepresented the terms of their existing deal with Warner Bros. The upshot for fans is that the deal could make Prince's catalog — particularly his work since the mid-1990s, when he split with Warner Bros. — more readily accessible. Lizzo on sexuality and gender identity: "I personally don't ascribe to just one thing"
Lizzo talked with Teen Vogue about her music, her history, and her journey to self-acceptance. When it comes to sexuality and gender identity, she added, "When it comes to sexuality or gender, I personally don't ascribe to just one thing. I cannot sit here right now and tell you I'm just one thing. That's why the colors for LGBTQ+ are a rainbow! Because there's a spectrum and right now we try to keep it black and white. That's just not working for me."